Seattle - Circa 2010: Downtown Seattle in 2009. 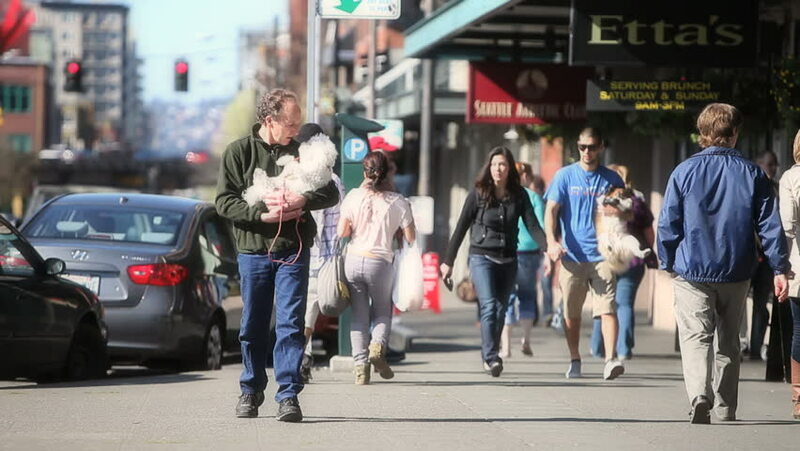 Downtown foot traffic with man carrying a poodle in his arms in Seattle, Washington. hd00:23ISTANBUL, TURKEY - JUNE 8: Turkish people walking at Istiklal Street with the music of the drums on June 8, 2011 in Istanbul, Turkey. hd00:17ISTANBUL, TURKEY - FEBRUARY 21: View of a street scene on February 21, 2016 in Istanbul, Turkey.